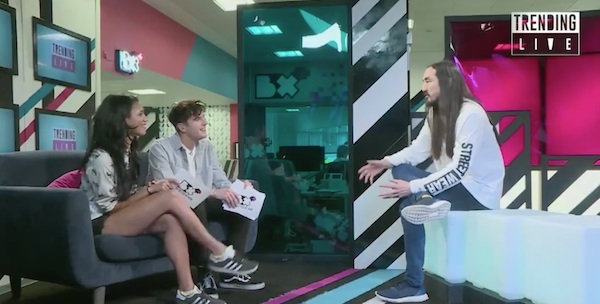 Steve Aoki recently caught up with Vick Hope and Jim Hill for 4Music's Trending Live. As part of the interview, Steve spoke about that all important collaboration with Louis Tomlinson and the power of the 1D fandom. We worked on a few different ideas and the idea that turned into Just Hold On was the strongest one and we played it for a couple of our friends and that was it we debuted it on XFactor and the craziness of the song started. I got to see the full-scale effect of the One Direction fandom when we dropped the record and debuted it on X Factor and I mean they are organised, they are the most organised institution out there. Check out the clip of the interview below!